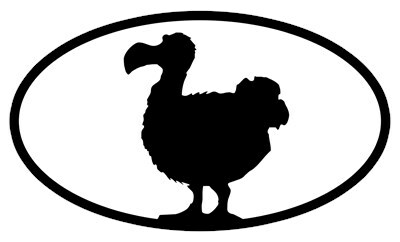 This oval euro-style sticker design has the unmistakable silhouette of the famous extinct Dodo bird. 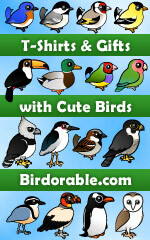 Show the world you are a birder and/or that you care about bird species extinction when you sport this oval sticker design on your car or on a t-shirt, hat, or other swag. To order by phone, call toll-free at 1-877-809-1659 from Monday - Saturday 9:00am - 9:00pm EST. You'll need to note the Product Number 030-376113464 to make your order.